The Mountain Club of South Africa seeks to promote mountain sports and recreation and encourage sustainable utilization of these areas for ecotourism. To facilitate safe utilization of these natural resources the MCSA constitutes a Mountain Search & Rescue Team manned on a voluntary basis by members of the MCSA. These men and women will respond to aid anyone in distress irrespective of club affiliation, race, gender or cultural background. Ensure that we use the best and most appropriate resources in executing the search and/or rescue tasks. Maintain an effective and efficient system through which our members may be called out to an emergency. Support the relevant authorities having jurisdiction over the scenes at which we work in such way that a force multiplying effect is created. Ensure that our members behave in an ethical and professional manner. Maintain our skills through a regular program of continuous and ongoing training and assessment. Ensure that our equipment is always maintained to the highest standard of serviceability. Whilst taking the above into consideration, we reserve the right to refer a request for assistance to a more appropriate authority should we believe that the call falls outside the scope of our core competencies. We also reserve the right to undertake our own risk assessment and base decisions on that risk assessment. 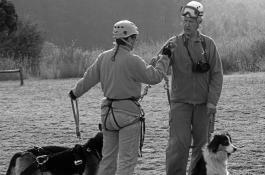 We are primarily a MOUNTAIN SEARCH AND RESCUE team. Our area of specialization lies in the mountains. We will therefore respond to any incident in a mountainous or wilderness area which involves a missing, stuck or injured person. Typical incidents which we regard as being in our area of expertise are those which involve people who have been injured in the mountains (eg: hikers, tourists, paragliders, motorists) or have not returned home from trips in the mountains and are believed to be lost or injured there. How do you call us out? and state that you have a MOUNTAIN RESCUE EMERGENCY. If the operator does not understand you, instruct them to contact the MEDICAL OFFICER ON DUTY. For SEARCHES, contact either the land-owner (if on state land) or the South African Police Service. Inform them of the nature of the emergency and request that they call MCSA SEARCH AND RESCUE on one of the above numbers. The team maintains an SMS based pager system as the backbone of our internal communications. This allows us to contact all of our members simultaneously. In addition we have 2 Rescue Officers on duty 24 hours a day who will activate the system and coordinate the response to any request for assistance. They can be contacted on the 074 numbers given above. The team can also be activated by contacting the Gauteng EMS control room (011 315 0203) requesting assistance from Mountain Rescue. How many people injured / missing? Nature of known injuries and first-aid given? How many uninjured in the group? What is the weather like and what do you think it will be like? What is the terrain immediately around the accident site like? What route did you follow to get where you are and how long did it take? Is there a flattish spot 30m x 30m wide nearby, with no trees or bushes? What are our response times? In addition to this are factors such as the availability of resources (work day or weekend) and the time of day. However, experience has shown that in extreme cases we can have a hasty team on the road within 30 minutes during the week and as little as 20 minutes over weekends. 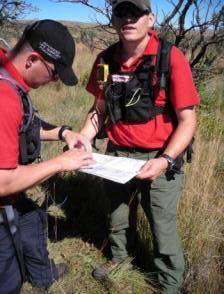 Their task is to reach the scene, assess the situation and provide initial treatment to whomever needs it, or to conduct an initial hasty search of the most likely places a missing person would be likely to be found. The second phase of the team is normally on the road within 1 – 1.5 hours of the initial call. Their task is to move the bulk of the equipment and to set up and man the systems required to get the patient(s) to definitive care or to conduct area-search tasks. 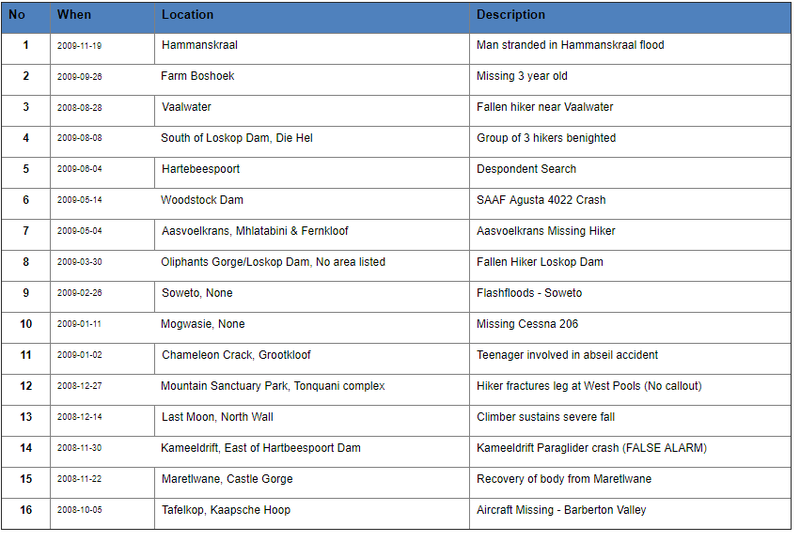 Rescues – climbing, hiking, paragliding, base-jumping, kloofing & aircraft accidents, etc. Because of the remoteness of mountains and the resultant delays when accidents occur the two local sections of MSAR have implemented a policy of placing emergency medical dumps at strategic locations in the mountains. These dumps contain no medications but do contain nearly everything else to provide initial care in the event of an accident in the mountains. In the event of the contents being used subsequent to an accident the parties involved in the accident are requested to notify the rescue convener of either section in order to arrange for the necessary item(s) to be replaced. Between the Johannesburg and Magaliesberg sections of the MCSA a number of these dumps have been placed in the Magaliesberg, Kransberg, Wolkberg, Eastern Transvaal mountains, The Restaurant (Waterval Boven), Mt Everest (Harrismith) and other locations. Locations of these dumps are distributed to members of these two sections of the club and are available to members of other sections of the club on request. Unfortunately we cannot publish them on the web as we have had problems in the past with people stealing or vandalizing them. As a result of this we’ve even been forced to withdraw one completely and scale others down in size. · Command Team – called Rescue Organisers or Officers (RO) these are senior members of the other teams who will coordinate and control the execution of any search or rescue task. These sub-teams are supported by General Team members who have finished their initial training but have not yet specialized. On average it takes approximately 9 months to complete all the training and master all the skills to join the General Team. 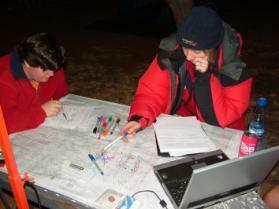 Training takes place every Thursday evening from 19h00 to 22h00, as well as one weekend per month. 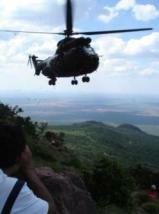 Helicopter training takes place with 17 Sqn SAAF on average once a month. All training sessions are logged on our custom database which keeps track of the skills practiced by each member. This system allows us to review the training and experience record of any of members at any time. The training program is coordinated around this information to ensure all members are up to date on the required competencies for their role. We have been called out in the past to search mountainous areas for missing hikers, missing tourists, mentally ill adults, mentally ill children, missing herpetologists, navigationally challenged scouts, overdue aircraft and many others. Searches are multifaceted emergencies and as such MSAR fulfils multiple roles. Our first role is to assist the commanding authority to identify the relevant search areas and compile a strategy for executing the first and subsequent phases of the search. Our second role is to provide specialist resources to search inhospitable search areas and support K9 Search and Rescue to execute their search assignments safely. Our third role is to provide trained searchers to crew aerial search resources such as helicopter and fixed wing aircraft from the police and military. And finally we must also provide an intervention team of paramedics and rescue specialists to access and stabilize the missing persons once they have been found. 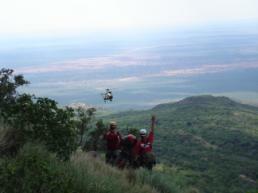 Rescue calls have covered the full spectrum from rock-climbing, through paragliding, to vehicles over cliffs. Most seem to come from recreational outdoorsmen. 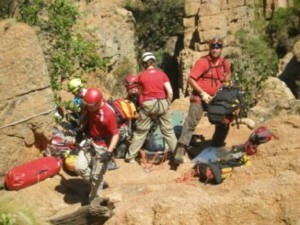 Rescues may be as simple as helping someone trapped on a ledge or as complicated as extricating critically injured people from the side of a cliff or the bottom of a kloof. Rescues often take many hours and our teams often spend more than 6 hours with a patient due to the complexity of wilderness rescue. 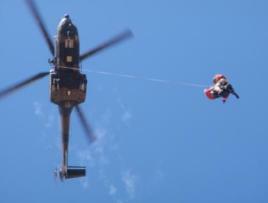 Rescues often involve a combination of helicopter and rope rescue skills. Rescue teams are often smaller than search teams and are comprised of specialists each of whom has a specific role to play. Typically our teams will include a wilderness medical specialist, a helicopter specialist and several rope rescue specialists. Occasionally we are requested to retrieve the bodies of those who have died in the mountains. 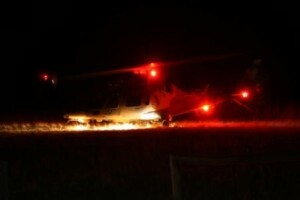 This if often as the result of aviation accidents in support of the SAPS and CAA. The team paramedics will be called upon to reach the bodies and make a declaration of death. If the terrain is particularly dangerous other members of the team may also begin documenting the scene and collecting evidence before the bodies are removed and handed over the police. Probably one of the most frequently asked questions is: “What do you charge for rescues?”. 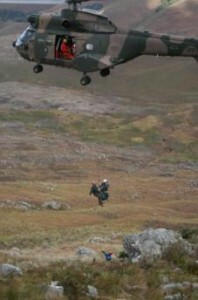 The answer to this is easy: The Mountain Club of South Africa DOES NOT CHARGE for rescue. We believe that it is a service that the club can provide the community with and that it is a way of putting something back into the community. Given what we’ve just said above, the next obvious question is: “But if you don’t charge anything for rescues, how do you pay the rescue team members?”. 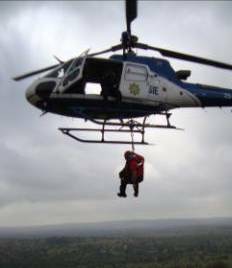 · Are not paid for conducting rescues. · Are not paid for attending training. · Are not reimbursed for loss of income incurred during rescues. In short, the members of the search and rescue team DO NOT GET ANY FORM OF REMUNERATION OR FINANCIAL BENEFIT (OR COMPENSATION) for their involvement in search and rescue. Ok, so by not paying our members for their work and by not helping them financially we cut costs, but where does the money for the ropes and carabiners and pulleys and…all that stuff…come from? The answer is simple: a portion of our general membership’s annual membership fees is allocated to rescue. However, this is not nearly enough to cover the costs of new equipment, so we request donations from sympathetic businesses. Occasionally we receive donations from former patients who see the need for our services. We regard the following skills as being prerequisites for anyone who wants to get involved in mountain rescue. In a nutshell, they boil down to being a competent mountaineer. This is because you need to be very sure you can look after yourself before you volunteer to look after others in conditions over which you have no control. Understanding of the relationship between mountains and weather. Understanding of the environmental dangers associated with mountaineering and the measures taken to mitigate those risks. Comprehension of the objective dangers associated with mountaineering. Being able to navigate confidently in mountains in all weather types. In the past year the team has spent 670 man hours on actual rescues, some of which are listed below. 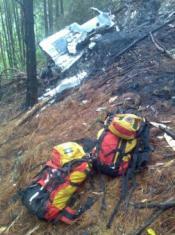 In addition we have used 30 hours of helicopter and fixed wing flight time in executing these rescues. In order to prepare for these situations we have spent 2100 man hours on training and used 55 hours of flight time mostly on SAAF 17 Squadron helicopters. 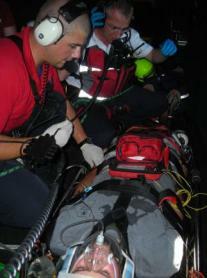 In the past year the team has enjoyed significant press coverage of our rescue efforts. This is due to our belief that the public are important stakeholders and as an extension it is part of our job to keep the press informed of our activities and the lessons that can be learnt from accidents. We have a Press Liaison Officer who is responsible for issuing press releases after any incident or other major event and following up with the press to ensure they have the correct facts and supporting images. We also receive exposure through various online forums with interests in our work such as climbing and aviation interest groups. For further information on Mountain Search and Rescue please contact: msargauteng@gmail.com – NB: this is not for emergencies.